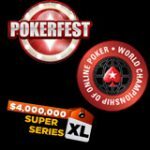 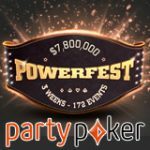 The Powerfest PartyPoker Series returns bigger and better than before with more than $10 million in guaranteed prize pools spread across 198 online poker tournaments. 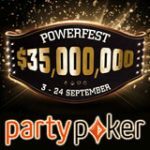 This September Play for your share of the $10 million in guaranteed prize pools in the biggest Powerfest PartyPoker Series to date. 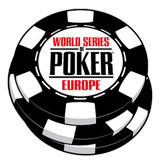 There are daily events running throughout the three week-long schedule with 198 events to choose from. 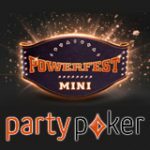 Start playing for your seat to the biggest ever Powerfest Series, satellite tournaments are running daily with buy-ins starting from a ridiculously low fee of 1c. 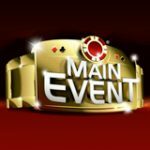 The ticket step tournaments allow you to turn 1c into a buy-in of $5,200, you can use the step tournament tickets that you've won to play the events on the Powerfest schedule. 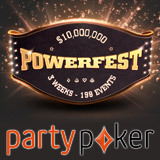 Signup using the bonus codes for Party Poker and get welcome bonus, double your first deposit, minimum deposit $10.